In the late 17th century, English and Irish Quakers first established plantations around the area now known as Mullica Hill. This Quaker community centered on the south bank of Raccoon Creek and was called Spicerville, honoring prominent landowner Jacob Spicer. Originally only the north bank of the creek was known as Mullica Hill, recalling the town’s pioneering Finnish settlers, Eric, John, Olag and William Mullica who first began purchasing land here in 1704. Two of the homes they built still stand on North Main, near the creek. Their father, Eric, Sr., born in Sweden in 1636 of Finnish parents, immigrated to the Delaware Valley in the mid-seventeenth century. The Mullica family traces its origins to a tiny village in south central Finland also named Mullica Hill. Thus the village holds the distinction of having one of the few place names of Finnish origin in the Middle-Atlantic region. Prior to the American Revolution, Mullica Hill was a coaching town of little more than two scattered clusters of houses north and south of the creek, two taverns and a grist mill. Four of these structures remain today. The township’s first real period of growth began around 1780 and continued until the 1830’s. Commercial development occurred principally in Spicerville (South Main) and four of the town’s first churches were built there. Although a blacksmith shop, schoolhouse and one of the town’s two taverns were to be found on the North side, this neighborhood remained principally agricultural. Nonetheless, the entire village came to be known as Mullica Hill, perhaps because the hill itself comprised the town’s most notable feature. Many structures from this era can still be seen today along Main Street. In the late 1800’s, a small mill district was established along the Raccoon Creek raceway. For several decades a woolen mill and iron foundry operated here until fire and competition from larger industrial centers brought about the district’s eventual demise. Today only the 18th century gristmill, greatly altered remains. A second period of growth followed the Civil War and noteworthy Victorian homes and public buildings were built throughout the village, including the Town Hall. 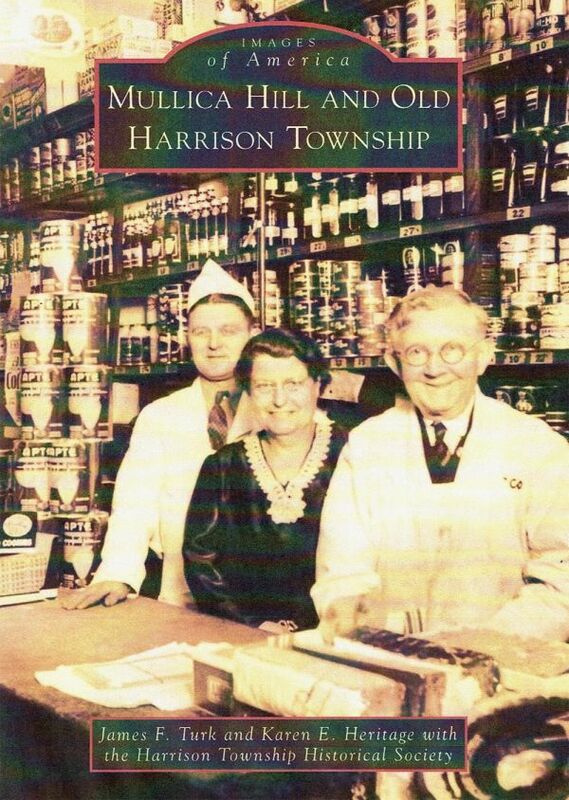 During this period Harrison Township established itself as one of the country’s most productive agricultural areas. A railroad spur was constructed and very quickly the town became one of the nation’s most active shipping points for agricultural commodities. Throughout most of the 20th century, Mullica Hill has served as the principal town and seat of government for Harrison Township and its businesses catered to the needs of surrounding farms. While agriculture today is still an important local industry, Mullica Hill’s businesses are no longer locally oriented. The town has emerged as a major antiques and crafts center, and is widely known for its nostalgic charm. Historic homes have been restored and the streets now bustle with visitors from throughout the eastern seaboard. In 1991, the entire village was placed on the National Register of Historic Places and the New Jersey State Register of Historic Places in recognition of its historic and architectural significance. The following year, Harrison Township established the village as a local historic district. Go to https://www.harrisonhistorical.com/ for more history and pictures.